Yes, I look forward to participating in Birdathon '18 from May 5 –12, 2018! Please select a field trip to join! I'd like to make my own pledge of "Other"
Please make check(s) payable to WCAS and mail your donations to WCAS, P.O. Box 112, Pennington, NJ 08534-0112. 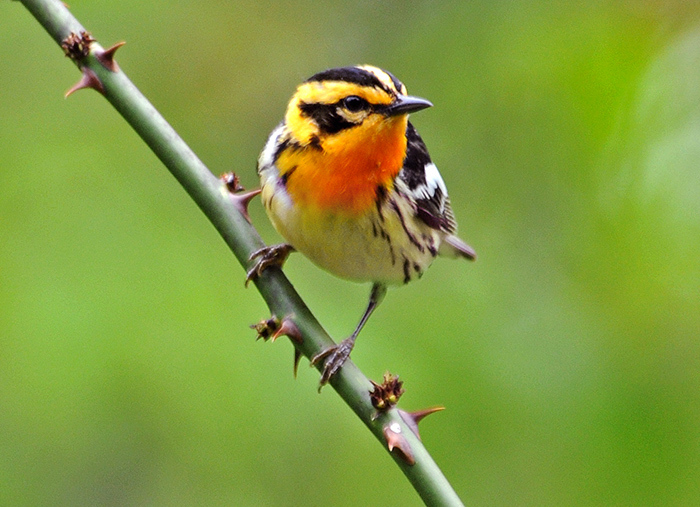 Team Baldpate led by Tyler Christensen (left) found a male Blackburnian Warbler like this one!